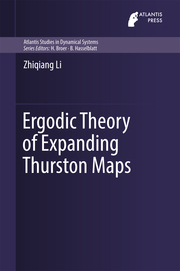 Thurston maps are topological generalizations of postcritically-finite rational maps. 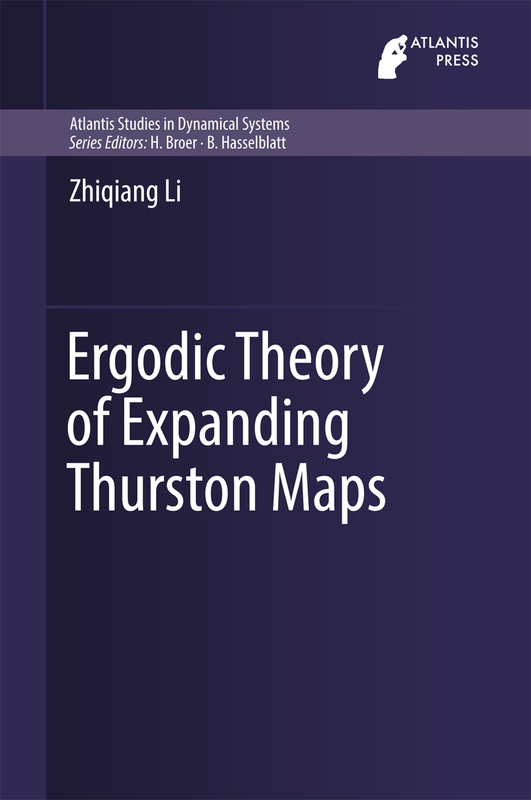 This book provides a comprehensive study of ergodic theory of expanding Thurston maps, focusing on the measure of maximal entropy, as well as a more general class of invariant measures, called equilibrium states, and certain weak expansion properties of such maps. In particular, we present equidistribution results for iterated preimages and periodic points with respect to the unique measure of maximal entropy by investigating the number and locations of fixed points. We then use the thermodynamical formalism to establish the existence, uniqueness, and various other properties of the equilibrium state for a Holder continuous potential on the sphere equipped with a visual metric. After studying some weak expansion properties of such maps, we obtain certain large deviation principles for iterated preimages and periodic points under an additional assumption on the critical orbits of the maps. This enables us to obtain general equidistribution results for such points with respect to the equilibrium states under the same assumption. 1.Introduction.- 2.Thurston maps.- 3.Ergodic theory.- 4.The measure of maximal entropy.- 5.Equilibrium states.- 6.Asymptotic h-Expansiveness.- 7.Large deviation principles.